Bid goodbye to the Lunar New Year festivities of February and welcome a new month filled with community events. You and your family can celebrate the best of Melbourne with the city's own Moomba Festival; experience Victoria's multicultural heritage; dance to the music and watch movies under the stars in Docklands; enjoy the ICC Cricket World Cup from the big screen in the Birrarung Marr; discover the flavours of Turkey and Thailand; and get up close with the Grand Pipe Organ. So whatever event or activity suits your fancy, you'll find something for FREE in the world's most liveable city this month. In addition to the classic and current movies at Southgate, Point Park at Yarra's Edge will also be screening some popular movies including Skyfall (5 Mar) and Frozen (13 Mar). You and your family can enjoy this FREE outdoor cinema organised by Destination Docklands amidst the scenic waterfront of Docklands. Admission to the site opens at 7pm and the movie begins at 8.30pm. 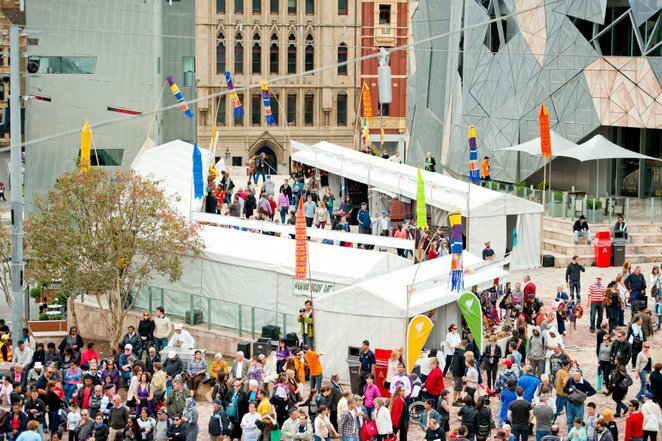 In addition, there is also a FREE return ferry service from Federation Square for the first 120 guests and FREE bean bag hire for the first 100 guests. The ferry departs at 6:30pm from the Riverside berth. Visit the website for more information. 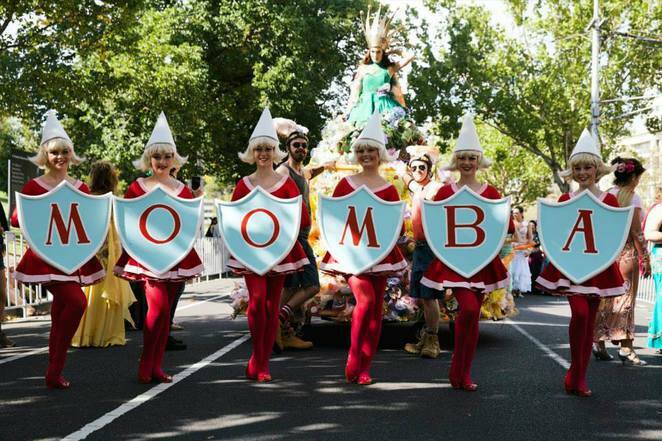 Planning and registration for Moomba 2015 started last year and in a blink of an eye, the largest community festival in Australia is back this March. Proudly hosted by the City of Melbourne, Moomba delivers a FREE annual program of carnival rides, entertainment and activities for all ages on the grounds of Birrarung Marr and Alexandra Gardens. Highlights include the Moomba Parade, Moomba Masters titles at the River, band performances at The Green, Birdman Rally and scoot, skate and BMX clinics at the Skate Park. Visit the website for detailed schedule. Where: Spans Birrarung Marr, Alexandra Gardens and Yarra River between Princes Bridge and Swan Street Bridge. If you can't get tickets to the Future Music Festival, there's another heading your way, courtesy of AMG Media. Best of all, entry is FREE. The Hot Wave Music Festival is the first music festival combining Melbourne indie bands, musicians, food, games and charity located in Harbour Town of Docklands. 12 independent bands and artists will perform hip-hop, pop, electric, blues and jazz. They include Katie Lewis & Tom, Josh Martin, Shadows Hyenas, I AM MINE, Markia, Rochelle, Frank Deak, Nathan Fernandez and many others. Grab your tickets here. The Grand Pipe Organ in Melbourne Town Hall has delivered many performances by many international and local organists including Calvin Bowman, Paul Grabowsky and The Night Terrors. You can now get up close and personal with the Grand Organ through FREE group tours organised by the City of Melbourne and Society of Organists (Victoria). Each 30 minute tour is led by an expert and operates at 11am, 11.45pm, 12.30pm, 1.15pm, and 4pm. Phone 03 9658 9658 for more information or click here to book your space. You and your family can also enjoy FREE performances including narration of the classic 'Peter and the Wolf' by Red Symonds (ABC 774) between 2pm to 2.45pm and a mixed repertoire by the next generation of organists from 3pm to 4pm. Bookings not required. Thanks to the growing Thai community of over 10,000 including thousands of Thai students studying in Melbourne and supporting organisations, local residents can enjoy the culture of Thailand right here in Melbourne. The annual Thai Culture and Food Festival held at Federation Square, Deakin Edge and River Terrace brings Thailand into the city. You and your family can enjoy a variety of activities including Muay Thai, Thai drum parade, Buddhist ceremony, cooking demonstrations, food stalls and the Singha beer garden. Entry is FREE. Visit the website for more information. Queen Victoria Market is not just a shopping destination, it is also a popular venue for festivals and events like Lunar New Year, Wednesday Night Market and Luna 1878. The market will be transformed into a traditional Turkish bazaar during the Turkish Pazar Festival. While its not the Grand Bazaar in Istanbul, you and your family can still enjoy the flavours of Turkey in one day. Highlights include a traditional all day Turkish breakfast, familiar Turkish food like gozleme and kebabs and market stalls offering Turkish ceramic, paper marbling and carpets. There are live performances by accomplished musicians from the Ankara State Folk Music Chorus, local musical groups and folk dancers. The Ottoman Mehter Band of Melbourne, a military marching band, will also perform traditional ceremonial music used to inspire troops in battle and celebrate victories in Queen Victoria Market. Entry is FREE. As part of Melbourne's hosting of the ICC Cricket World Cup 2015, a FREE official fan zone has been set up at Birrarung Marr, overlooking the Melbourne city skyline and Melbourne Cricket Ground. The Fan Zone features a grassy picnic area for watching the matches (Backyard Cricket Zone) and another area for cricket activities (Beach Cricket Zone). It is opened on 19 and 29 March from 12pm till 30 minutes after the final ball. You and your family can watch the matches on the big screen while munching on treats from some of Melbourne's popular food trucks, and also try your hand at some cricket challenges. Visit the website for more details on the ICC Cricket. Head over to Federation Square and spend an afternoon experiencing Victoria's cultural traditions. The Viva Victoria Multicultural Festival is a FREE event with music and cultural performances, arts and craft stalls, language workshops, roving performances, sports clinics, kids activities and food. Performers include X factor star Jason Heerah and the Chosen Ones, Nicky Bomba and Bustamento, Melbourne Bhangra Regiment, Lehenda Ukranian Dance Company, Uke 4 Kids Family Orchestra and many more. Phone 03 9651 0651 or visit the website for more details.